Choosing a groomer can seem an overwhelming task. Often, several to choose from all, with their keen advocates and sometimes equally keen detractors. How do you decide which is right for you and your pet? Anyone can set themselves up as a groomer. Indeed many established salons will have started just like that. So how do you ensure your pet is in competent hands? There are a number of qualifications groomers can take, including City & Guilds, Open College Network (OCN) and International Certified Master Groomer (ICMG). A qualification says that a person has been assessed and can groom in a safe manner to a required standard. It shows a groomer was willing to invest time and money in themselves and their profession. But qualifications have their limitations. A newly qualified groomer may have very limited ‘real’ experience. An old hand may have a qualification that’s out of date by today’s standards. A groomer who attends seminars, training days, competitions, or studies for additional qualifications will be continually updating their knowledge and demonstrating a passion for their chosen career. Cleanliness is next to Dogliness! Dogs can carry diseases, viruses, parasites and can suffer from skin conditions. A clean, hygienic environment and sterilised equipment is a must to avoid cross-infection. Visit a few salons and give them a sniff! Wet dogs smell but a regularly cleaned salon will smell different to a neglected one. Visit at different times of the day. Does the salon start the day clean, hair-free and well presented? Is the equipment sterilised after each use? Is the salon disinfected and hoovered / swept at the end of the day? What’s a Lesser Spotted Mouse Hound?! There are over 200 breeds recognised by the Kennel Club, and that’s just in the UK. Knowing each one and its coat type, temperament and how best to style it is a lifetime’s work. But a groomer should have basic knowledge of the most popular breeds and more importantly be prepared to research. 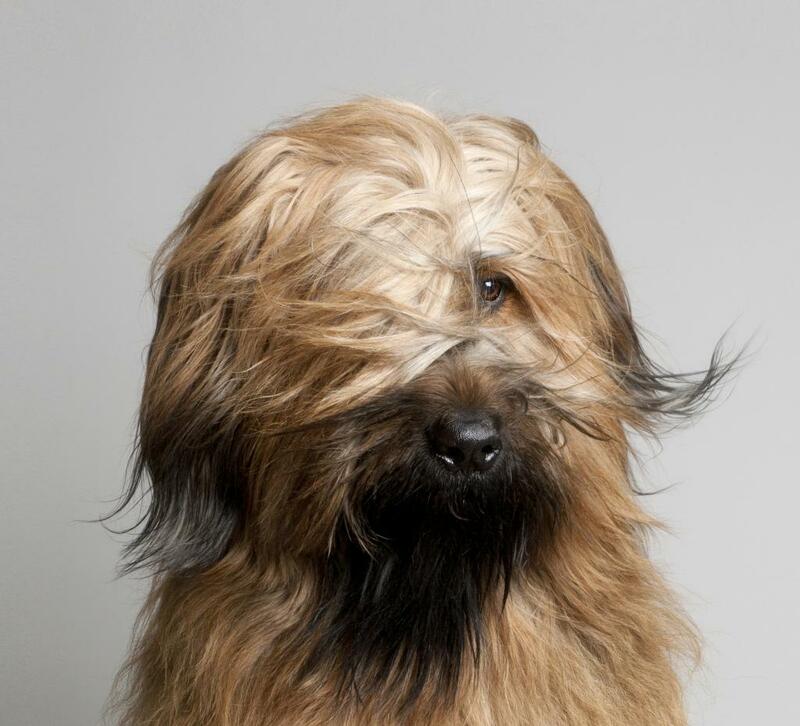 If a salon doesn’t have first-hand experience of a certain breed don’t be immediately put off. Instead look at their all-round skill and find out how they intend to work with you to achieve the result you want. More important than any haircut is for your pet to be safe, secure and have as enjoyable experience as possible in the salon. Visit a few salons, watch and compare. Different groomers use different restraints and techniques but they should be adaptable to the pet in front of them. If every time you walk past or visit a salon there is a lot of noise from the dogs, or if every dog looks stressed every time, think twice. Staff too should appear confident and relaxed. The overall atmosphere should be calm – for most of the time at least! There are a number of organisations and schemes groomers can join. For example The Groomers Spotlight guarantees groomers have their full qualification. The Pet Industry Federation (PIF), which incorporates the British Dog Groomers Association, have a code of conduct members must abide by. They also run an Accredited Salon scheme. Members of the British Isles Groomers Association (BIGA) must subscribe to that organisations’ core values which underpin their code of conduct. All of these organisations and the training, qualifications and schemes they offer are freely available to find online. Why not check them out and use them to form your own criteria for choosing a groomer? How much is that doggie..? It is generally true in life that you get what you pay for. Prices do vary between groomers. So do experience, qualifications and overheads. A high street salon, a mobile van and a home groomer all have differing costs. There are advantages and disadvantages to each set up and it’s up to you which best meets you and your pet’s needs. Grooming is a service that requires the same physical labour and know-how as a car mechanic, a plumber, a carpenter or any other skilled profession. The difference is groomers work on living, breathing members of your family. Your groomer may become one of the most important relationships your pet has in their lifetime. Take time to choose carefully, ask questions and research. Their actions may impact your pet’s health and well-being for better or worse.